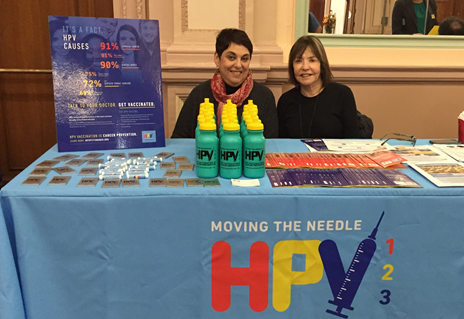 There is a lot that you can do to generate a buzz in your community around HPV vaccine. Form an advisory board of dedicated collaborators. Invite healthcare providers, insurance company leaders, health department staff, philanthropic organizations, parents, educators, community leaders, university staff and students groups, etc, to come together to plan and execute strategies for a community-wide public health campaign to increase vaccination rates. Engage local political figures to declare HPV a public health issue. For example, on May 3, 2016 the Jewish Healthcare Foundation, the Eye & Ear Foundation, and Duquesne University Assistant Men’s Basketball Coach John Rhodes (an HPV-related oral cancer survivor and vaccination advocate) were presented with a city proclamation co-sponsored by Pittsburgh City Councilmen Dan Gilman and Corey O’Connor. 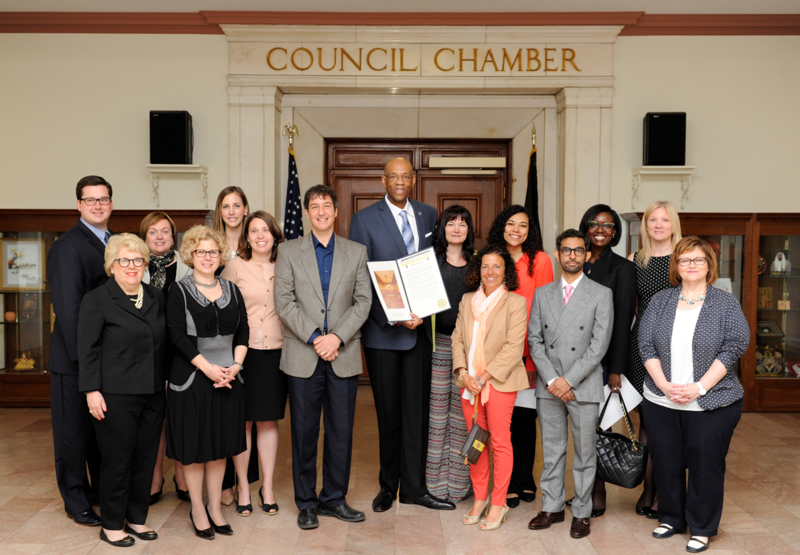 City Council members also passed a resolution to declare May 3 as HPV-Related Oral Cancer Awareness Day in the city of Pittsburgh. Create a social media presence to provide HPV vaccine awareness. Here is a social media toolkit for providers, which was developed by the George Washington University Cancer Institute. Host public screenings of “Someone You Love: The HPV Epidemic,” a documentary that tells the story of five women who have been affected by HPV-related cancers. Physicians, pharmacists, and nurses can also receive free credits for watching “Someone You Love: The HPV Epidemic” through the Indiana Immunization Coalition until Saturday, July 1, 2017. Engage local school districts to recommend HPV vaccination as strongly as they recommend the required vaccines for school entry. Here is a letter that school nurses can use to stress the importance of HPV vaccination to parents/guardians, and an immunization card that parents can take to their child’s doctor and share with school nurses. If you are interested in using customized versions of these materials, contact JHF Program Coordinator Sue Steele (steele@jhf.org). Ask community organizations to include HPV education in their programming to parents and youth. Here is a link for a downloadable two-lesson module for middle and high school students that was developed by Planned Parenthood of Western Pennsylvania. Why is HPV Vaccination Important? Get Vaccinated. Get Involved. Help Spread the Word!